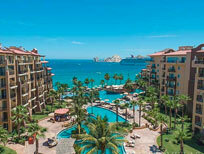 Cabo San Lucas has a well-earned reputation for fun. 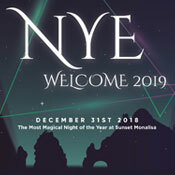 New Year’s Eve 2019 is just another reason to party it up in paradise. 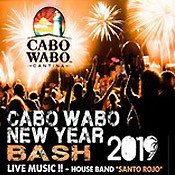 Los Cabos visitors can celebrate with a variety of New Year’s Eve events, including all-night dance parties with celebrity guest DJ’s, glamorous dinner celebrations with live music, an unforgettable fireworks show above Médano Beach and more! 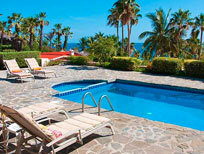 For a more intimate New Year’s party experience, host your own party in one of our private Cabo villa rentals. 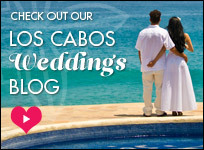 NOTE: If you are a CaboVillas.com guest, please contact your sales agent to book New Year’s Eve events. Details subject to change. Contact venues for most current details. Reservations required. Prices in USD unless otherwise specified. 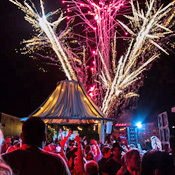 Each New Year’s Eve, the skies sparkle above Médano Beach in Cabo at midnight. 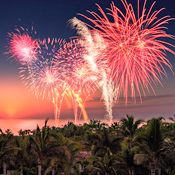 This annual fireworks spectacular lights up the sky above the Cabo beachfront and is an unforgettable accompaniment to a midnight kiss or champagne toast. Details: Take in the view from beachfront clubs, restaurants, resorts or on Médano Beach. 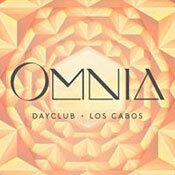 Let your heart run wild at One&Only Palmilla’s biggest party of the year. 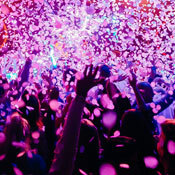 Enjoy an exhilarating and unforgettable night of great music by DJ Coleman and Josh Weathers, dancing, premium cocktails and bottle service. 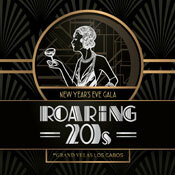 Details: Party begins at 9:00 pm; $250/adult; $100/child (12-18); under 12 free. 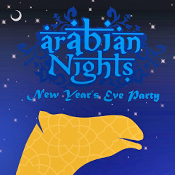 New Year’s Eve Dinner at Agua by Larbi (includes party): $450/adult; $130/child (6-12); under 6 free. 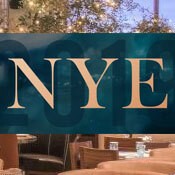 New Year’s Eve Dinner at SEARED (includes party): $550/adult; $140/child (6-12); under 6 free. Excludes tax and gratuity. 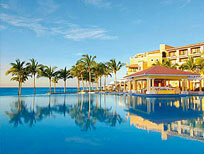 One&Only Palmilla. 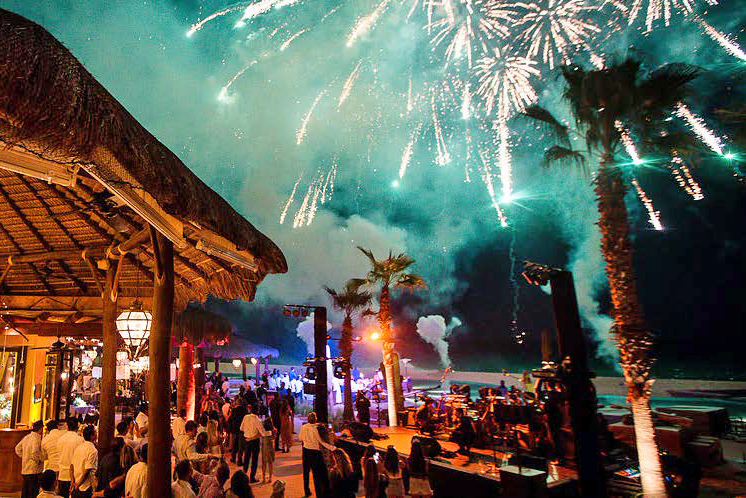 Enjoy front-row seats to the sights of Médano Beach by ringing in the new year at the world-famous Office, a beachfront restaurant right on the sand. 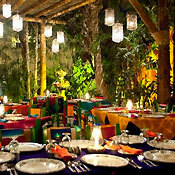 Included is a special dinner menu, glass of sparkling wine, entertainment and party favors. Details: $200/person (beverages not included). 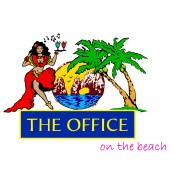 More Info: The Office on the Beach. 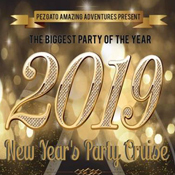 Ring in the 2019 aboard the Tropicat, the most luxurious catamaran in Cabo. You can dance under the starlit skies as you experience the sensational fireworks show over Médano Beach while anchored in the bay! 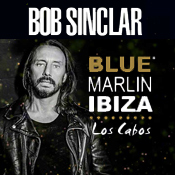 Details: $85/adult; 10:00 pm – 1:00 am. 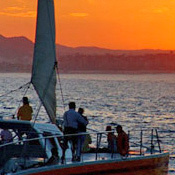 Book in advance: Tropicat Catamaran. Enjoy a dinner under the stars with a special new year’s menu on the CaboMar catamaran. The party continues with DJ dancing and unlimited open bar. 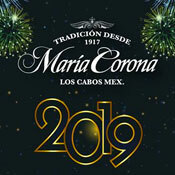 Welcome 2019 as you watch the fireworks from Médano Beach, while anchored in the bay! This fun cruise sells out every year! 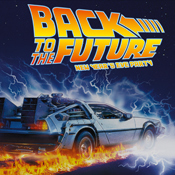 Details:$85/adult; 10:00 pm – 1:00 am. Book in advance: CaboMar Catamaran. Say goodbye to 2018 with a stylish night of dancing, world-famous DJs, and plenty of bubbly to go around. Take in breathtaking views of the Sea of Cortez and El Arco as you sip cocktails to the beats of Polo & Pan and Chad Hugo at The Rooftop at The Cape. Details: From $3,960MXP; Contact for info. Tickets. 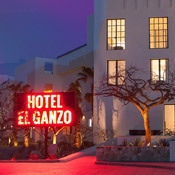 This stylish arts-inspired boutique hotel in Puerto Los Cabos offers a sophisticated atmosphere and gorgeous views. 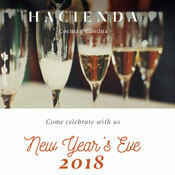 Enjoy an incredible New Year’s Eve dinner with an exciting special gourmet menu. Details: $160/person includes dinner and one glass of sparkling wine, access to The Rooftop for New Year’s Eve (drinks extra); vegan menu is also available. Access to The Rooftop without dinner is also available with bottle service purchase for up to 4 people (price varies). 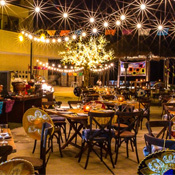 This entry was posted in Cabo Activities and tagged activities, Cabo, Cabo San Lucas, Dining, Events, Los Cabos, Mexico, New Year's Eve, Nightlife, Resorts. Bookmark the permalink. Hi Sharon, thanks for your comment. 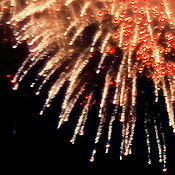 While we don’t have a list, many years there are fireworks over Médano Beach.